I would LOVE for you to be there. You can RSVP to me at kirstyloug@gmail.com to reserve your seat (space is limited). We'll be inviting locals via several blogs and all the businesses involved will be advertising the event. So please don't hesitate to get in touch with any questions and to reserve a spot for you and a friend. Some of my wonderful blogging friends hope to be there too! If you are a blogger or a local small business and plan to come, let me know and I'll add your name and blog address/business name to my list, one that I'll feature here so other readers can visit your site or store. 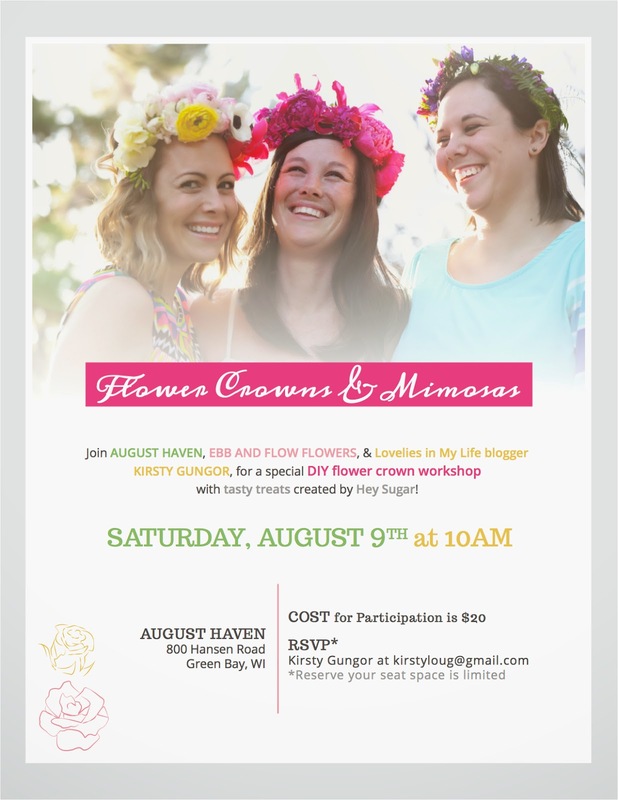 We will have Holly from Holly Marie Designs (who also created the beautiful graphic for this event) and my friend Kate from Still Room to Grow. Check out their blogs if you haven't already. And I want to mention Andrea from Hippie by the Sea, who was a massive encouragement to me and such a creative boost when it came to brainstorming for this event. Her passion is infectious!